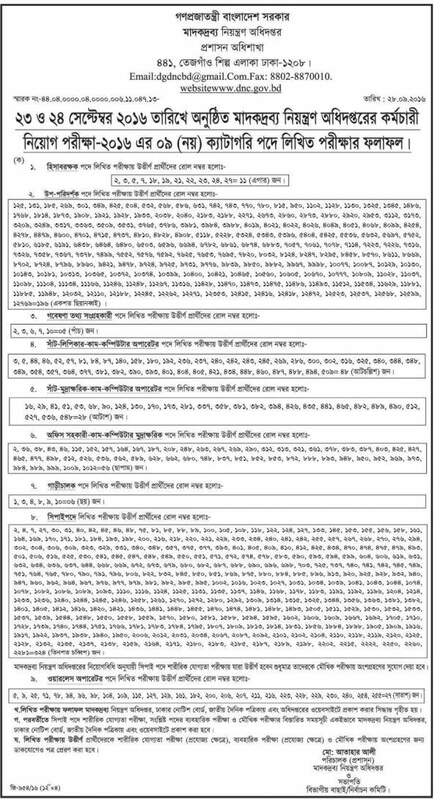 Department of Narcotics Control Examination was held on 23-24 September 2016. www.dnc.gov.bd published 9 post Narcotics Control Written Exam Schedule at daily newspaper Bangladesh Pratidin on 01 October 2016. Let`s See this Notice Below. This entry was posted in Bangladesh Pratidin, Notice and tagged written exam results by ejobscircular. Bookmark the permalink.